Dermatitis stasis, also known as varicose eczema or gravitational dermatitis, is a skin irritation due to the pooling of blood in your legs. It occurs when your veins cannot send blood back to your heart, and it usually develops in patients with venous insufficiency due to varicose veins. Symptoms can include thinning skin with ulcers, itching, and swelling in your legs and ankles. Herbs may help control dermatitis stasis naturally. Consult your health care provider before starting herbal treatment. Herbs for dermatitis stasis work in two different ways. Some herbs work on the dermatitis and help to heal the dry skin and ulcers on your legs. Other herbs attempt to heal the blood stasis, or pooling blood, by improving circulation and treating the cause, which is venous insufficiency. Check with a qualified practitioner for advice about dosage and preparation of herbal remedies for dermatitis stasis. Horse chestnut, or Aesculus hippocastanum, is a tall deciduous tree with large brown seed capsules. Herbalists use the seeds to treat circulatory problems in the legs, such as varicose veins, leg ulcers and venous insufficiency. Active ingredients include saponins, tannins and proanthocyanidins. In their 2009 book, “Medicinal Plants of the World,” botanist Ben-Erik van Wyk and biologist Michael Wink explain that the saponins tighten veins and, together with the tannins, tone blood vessels and stabilize small veins. This herb may help heal dermatitis stasis by controlling the underlying circulatory problems. Only use prepared forms of this herb, since the raw seed can be toxic. Aloe, or Aloe vera, is a North African succulent that contains a medicinal gel in its fleshy leaves. The gel is rich in complex polysaccharides, salicylic acid and enzymes, and has anti-inflammatory, wound-healing and immune-stimulating actions. In their 2000 book, “Prescription for Nutritional Healing,” Dr. James F. Balch and certified nutritional consultant Phyllis A. Balch, recommend applying aloe vera gel topically. It may help heal the leg ulcers and reduce the itching caused by dermatitis stasis. Discontinue using this herb if you develop a skin rash or your symptoms don’t subside. Calendula, or Calendula officinalis, is a European herb with a long history of treating sores and skin diseases. 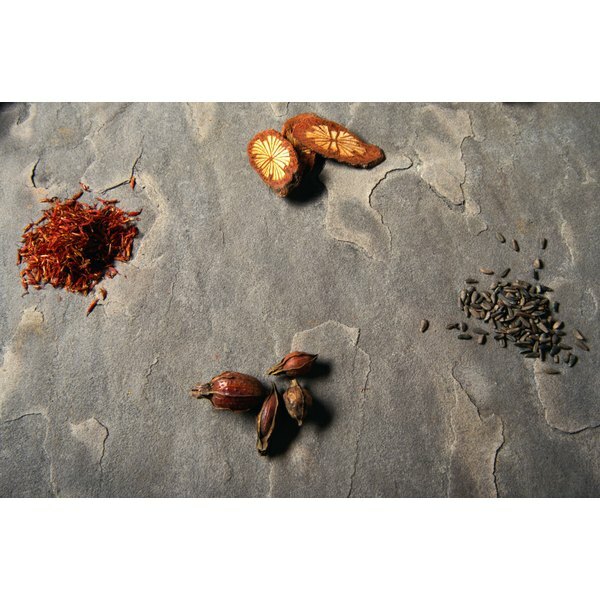 Herbalists use the flower heads, which have anti-inflammatory and antimicrobial actions. Patients with ulcers due to dermatitis stasis risk bacterial infection, and applying calendula topically may help reduce the risk. Van Wyk and Wink explain that the calendula stimulates the development of granulation tissue, which is new tissue that replaces old, damaged tissue. Do not use calendula for a prolonged period of time.